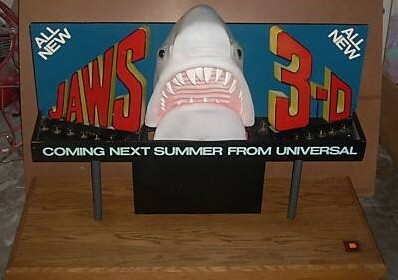 L’année 2012 sera assurément un grand cru pour les fans de Jaws 3D… Pour la première fois en près de 30 ans, les collectionneurs pourront mettre la main sur une réplique de la star du film aux dimensions de rêves! L’homme derrière ce fantastique projet? Le très réputé Mike Schultz à qui on doit déjà le désormais épuisé NTT (nose to tail). Comme vous pouvez l’imaginer, nous allons suivre de près toutes les étapes dans la conception de cette oeuvre d’art. De façon presque hebdomadaire, nous donnerons donc la parole à son créateur. Une occasion pour nos lecteurs de mieux cerner les détails qui font du Bruce III de Roy Arbogast le requin le plus abouti de la saga. Could you describe your activities and projects that you have for 2012? « Yes, I love to talk about our Sharks. 2012 is going to be our most impressive year ever. It is almost like my family has been ‘in training’ for the Olympics this year. Cathy, my wife works on the website www.sharkcityozark.com , and she keeps the books as well as building the miniature display stands and mechanical inserts for the 1/6 Bruce busts. In like manor my girls Stef and Rae work on the videos and editing and music for our product videos as well as much of the mold-work. The boys and I run resin and sand seams etc. I am charged with the prototype making of course and do the final assembly, and all painting and detail work on each of the sharks that we ship out. Well, all year we have been working our production-line like little ‘Shark-making Elves‘. It is almost like we all trained and honed our skills on the big 37 inch long Nose To Tail Bruce Sharks that sold out earlier in the year. The rest of the year we have spent filling the orders for the newer 18 inch long Open Sided Bruce NTT Sharks, and the HUGE 1/6 Bruce Shark Head Mounts. 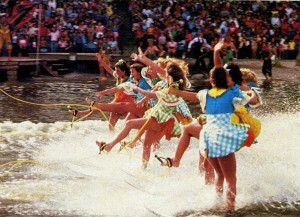 But next year we take it up several notches higher! I have finally been freed up from the more time consuming chores on the production line such as casting each and every piece. Just for the NTT there were 9 molds! The Open Sided Shark requires 14 molds! I also have been freed up from having to clean-up each and every piece as well as primer painting them all. I essentially now just show up for the final assembly, airbrush work and fine detail paintings. The upgrade to our productivity is through the roof now as I am sure you all can see. What used to take me 2 weeks to put out just one NTT Shark, well, we are now shipping 4 NTT’s, 5 Bruce Busts and 3 to 7 OSS sharks each week, on average, and sometimes much more! So this has left me with HUGE amounts of free time to study and make the Prototypes for 2012. In the last year I have been able to start, and or finish an amazing number of Prototypes. So far the HUGE 1/6 Brucette Shark Head Mount is over 55% completed. I also have a 37 inch NTT version of Brucette up on the rack, but it is to remain just for me I think. 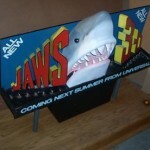 I have 2 versions also of the ALL NEW Bruce NTT Shark 2.0 completed as well, one larger, one smaller. 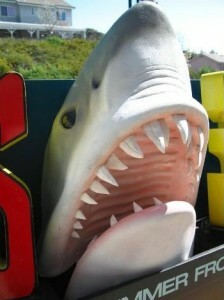 We also have a few versions of the Bruce 3D shark head sitting on the shelf; and admittedly very dusty. I have a Revenge Bruce head in the works, in scale for a future Nose to Tail or NTT model as well. What we are doing for 2012 is The ALL NEW Ultimate Bruce NTT Collector’s Set. Each quarter we will release an all new display of a Movie Shark! 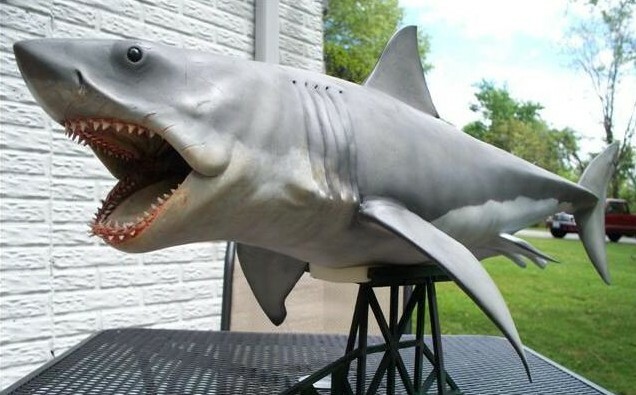 Quarter 1 will be the release of the All New full Length Bruce Shark NTT model. It is based on the powerfully brand New version of Bruce before it ever was water tested. It is widely agreed that this is the favorite variation of Bruce almost unanimously. This is the Shark that Mr. Alves and Mr. Spielberg envisioned. Once it hit the water they discovered those water-proof materials were more like plastic sponges. 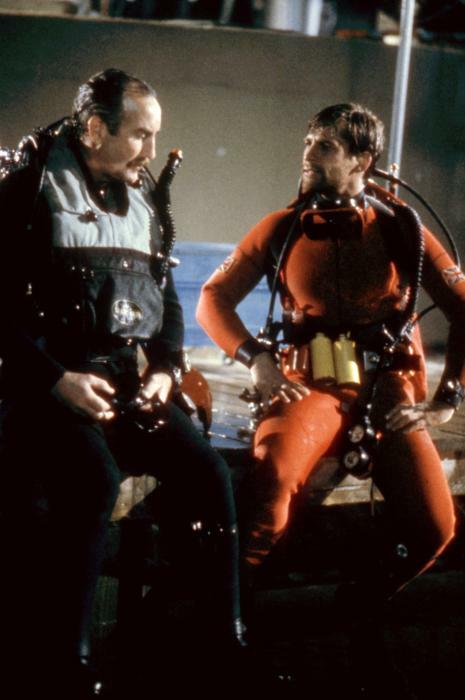 And the Bruce from the behind the scenes material was born; the saggy, baggy, wrinkled, torn and patched shark that Mr. Spielberg referred to as ‘the Turd’ is what the ocean did to Bruce. Well, not so with The Ultimate Bruce NTT 2.0 coming in 2012! Clean, sharp, tight, muscular lines define this Shark’s build. Based on direct feedback from over 500 fan emails and postings! For the 2nd Quarter we will be releasing the Sequel’s Full Length Brucette NTT Shark . 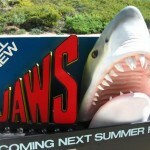 It will be to the same scale as all the other Ultimate Bruce NTT Sharks. 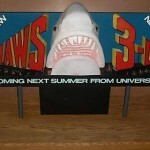 Then finally in the 3rd quarter we will release the Bruce 3D NTT Shark and then end the year with the Revenge NTT Shark. 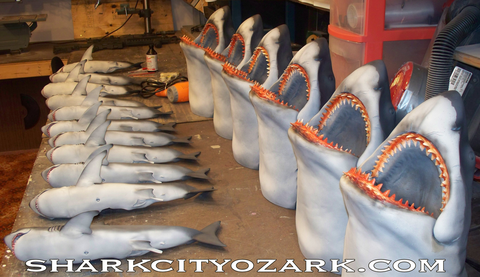 All the sharks will be in scale to each other and will ship out with free display stands and our signed SCO certificates of Authenticity that each of us worked on and puts our names too! We have proven ourselves in the fan community for well over a year now. If we post that we are going to do it then we do it. We have honored every agreement, posting, contract and deal. We have always released ahead of schedule and we always ship out more than we advertise and riddle our Shark Displays with awesome little surprises. We take care of our customers too, as can be plainly seen on our Feedback page. J’espère que vous êtes aussi excités que moi par ce projet! 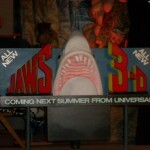 Au prochain article, je vous offrirai l’ un des premiers dessins préparatoires de Mike Schultz estampillés Jaws 3D! Restez connectés. 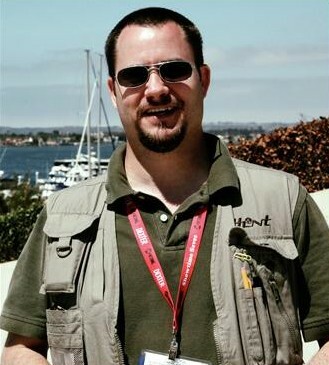 Partager la publication "Mike Schultz nous parle de ses projets (1/4)"
En tant que collectionneur, je me dois d’ être toujours sur mes gardes, toujours alerte… Et même lorsque l’emballage n’annonce rien de bon, je fonce tête baissée. Ce Mädchen aurait très bien pu contenir un dossier de 20 pages consacré à Der Weisse Hai 3 avec un lot impressionnant de documents inédits! L’ annonce du vendeur laissait sous entendre que j’en aurai pour mon argent… Pour information, Mädchen signifie Fille en allemand. Une très bonne indication quant à la ligne éditoriale de ce torchon… Publicité sur les serviettes hygièniques, articles sur les jumelles, atelier gateau et l’ indecrottable rubrique mode (et autant dire que la mode chez les adolescentes de l’ allemagne de l’ Est en 1983 c’est vraiment Christiane F,Wir Kinder vom Bahnhof Zoo ). 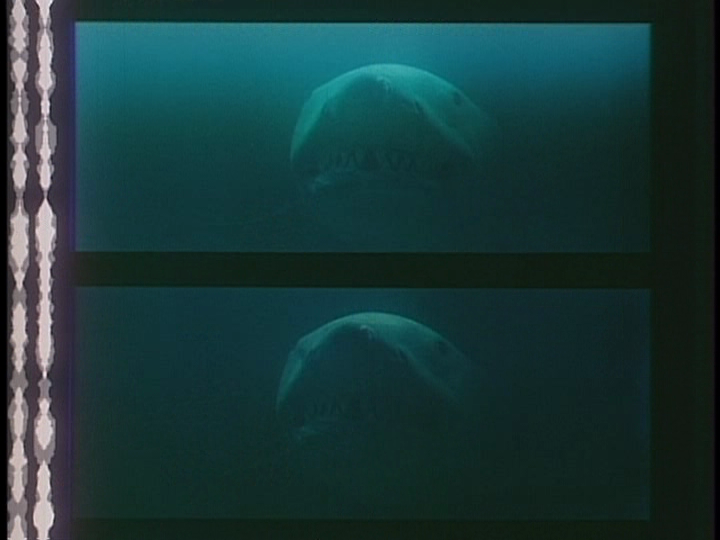 Tout ça laisse peu de place à Jaws 3D comme vous pouvez le constater grâce à ce document judicieusement placé sur votre droite. L’article « Panik in der Lagune » se borne donc à reprendre deux-trois informations tirées du dossier de presse US (la destruction de la control room par exemple), illustrées par trois clichés dont le choix me semble plutôt original voir audacieux. Vous l’ aurez compris, cette pièce de collection ne vaut pas les 15 euros dépensés pour son acquisition. 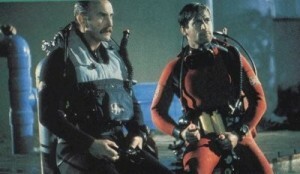 Mais inutile de se lamenter, je peux toujours me vanter d’ être le seul fan de Jaws 3D à en posseder un exemplaire neuf. Une seule leçon à retenir: Faites confiance à votre instinct. 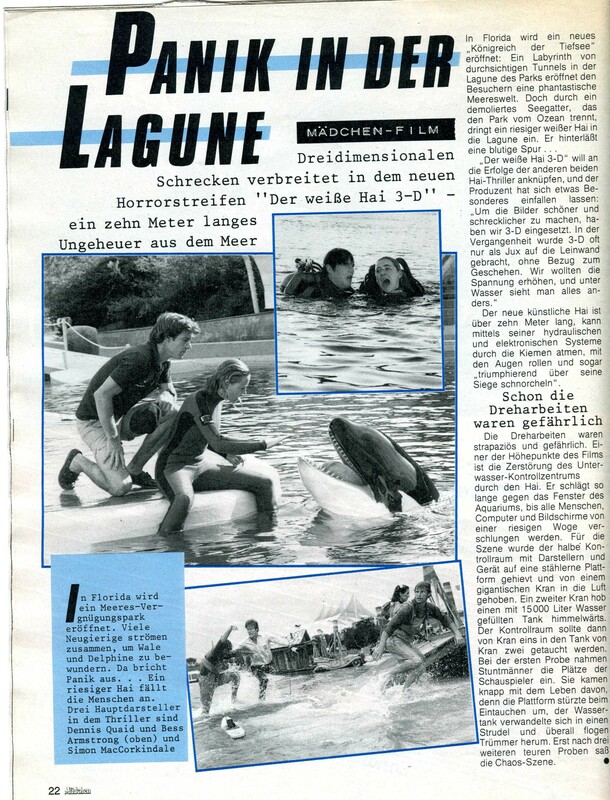 Partager la publication "Mädchen (dezember 1983) magazine Allemand"
1/ Before Jaws 3D, you have collaborated with the producer Alan Landsburg on shows like « that’s incredible ». What kind of character was Landsburg. To work with a TV producer was something easy? We did this via the UK television company Yorkshire Television. The Head of Music Keith Morgan was the person that got us involved in this which caused Alan Landsburg to contact us. He obviously liked Alan Parker’s music he composed for ‘That’s Incredible’ which led us to being asked by Alan Landsburg to do the original score for Jaws 3. 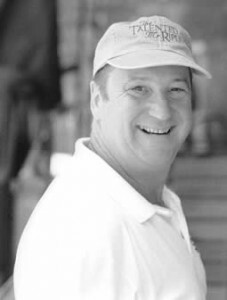 Alan Lansdburg was a nice person and good to work with. 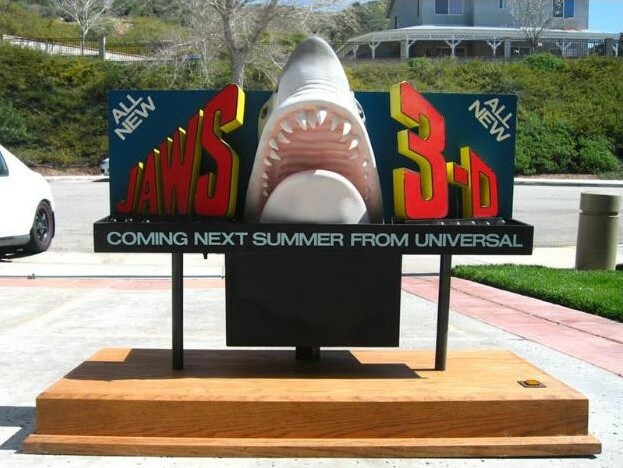 2/When, exactly, were you engaged on the project Jaws 3D? 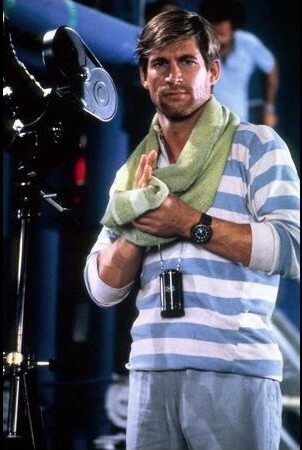 3/Parker wrote a demo for two sequences of the film. These demos still exist? No. These were titles that we find in the movie? Yes but all rerecorded to fit the picture with the orchestra. 4/ What budget have you received for the recording? 5/The songs on the LP are different from the film. Is this a recording made specially for the disc or is it the recording made for the first cut? We were not involved in this. This was pushed onto Alan Lansburg by MCA/Universal. Alan refused to go with this as he rightly took the view that the music should be firstly correct for the film and not undermine the music to just sell more records. 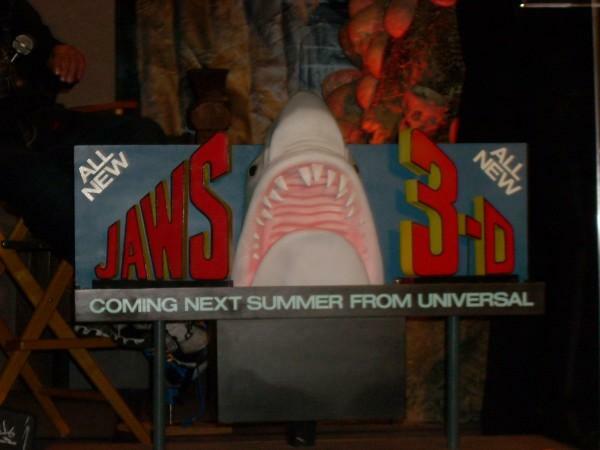 6/Jaws 3D uses very little of the famous theme of John Williams. Is a willingness on your part or a desire of the studio? The brief Alan Parker got from the Producer and Director was that they wanted new music and not the same music as used in Jaws 1 and 2. Alan Parker’s response to this was whilst agreeing with this approach, he would create the same feeling for the shark motive whilst not copying it which would then be the reference throughout the film so that it was in a complimentary style whilst creating an original music score. 7/ Universal wanted a more commercial soundtrack. 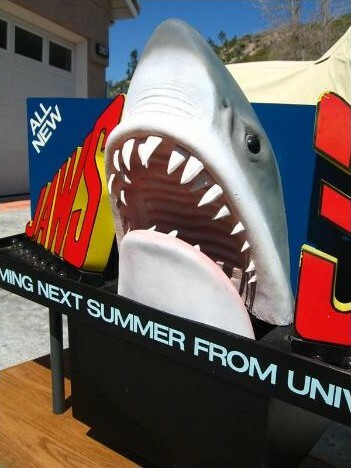 Did you know that tests with the song « Jaws 3-D End Titles » had been made by the composer Steve Thompson? Yes, This was not used in the final dubbed version as released. See my comments in point 6 above. Merci à Graham, Alan et Liz Schrek pour leur aide. Nous aurons tout le temps de commenter ces propos lors de nos prochains articles. 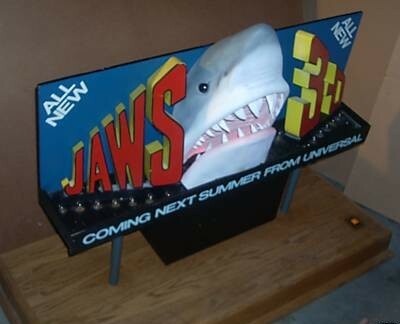 En bonus, je vous offre les Music Notes de Jaws 3D issues des archives de Mr Walker. 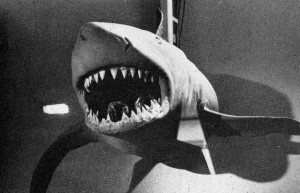 Partager la publication "Interview de Graham Walker (music coordinator/ producer)"
« For Jaws 3-D we built several different scale models of the shark. The shark that gets blown up at the end is ours, but in the final cut several film opticals were composited over it so that only the model and « blowing up » remained as ours. 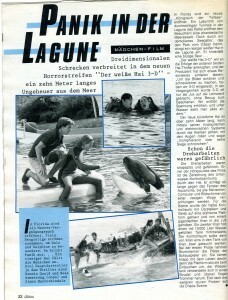 » Bien que ces affirmations du fondateur de la firme PSE Chuck Comisky (tirées du magazine Fantastic films) soient légèrement erronées (les requins Stop motion et 1/7ème sont clairement visibles à travers la seconde partie du film), on ne peut que compatir à la tristesse de cette jeune équipe chargée de la majeure partie des effets spéciaux de Jaws 3D dont près de 90% du travail réalisé aura été expurgé du long-métrage de Joe Alves… Vous l’ aurez compris, ce nouvel article (divisé en deux parties faute de temps) est entièrement dédié à la gloire du requin bourré d’ explosifs qui conclue définitivement les aventures de ce Bruce III. Des explosifs visibles dans la gueule du monstre sur cette magnifique photographie noir et blanc publiée dans ce même numéro de Fantastic Films et très récemment dans le magazine Filmfax… Comme vous l’ avez bien évidemment remarqué, le modèle s’ arrête juste après la nageoire dorsale (de la même façon que le squale à l’ échelle 1/3 et la version agressive de Baby Bruce)… Les deux plans- de face et sur la droite- ne nécessitant pas la présence d’ une queue. Contrairement à d’ autres modèles , « the Sploding shark » est esthétiquement assez proche de la version de 9 mètres de Roy Arbogast. Peu nombreux sont ceux ayant deviné la présence d’ une miniature à l’ écran tant que le plan ressemble à celui où le monstre sort de l’ obscurité pour attaquer Philip & Jake. Partager la publication "The Exploding Shark! (1/2)"
Partager la publication "Déjà une année sans Simon MacCorkindale"
Une de plus, serais-je tenté d’ajouter! Cette fois-ci, on doit cette petite merveille au magazine canadien Marquée… Un trésor paru dans les pages du spécial Jaws 3D de juin/juillet 83 déjà traité ici même. On y voit donc nos 8 superbes skieuses nautiques dans un numéro d’ équilibriste parfaitement réalisé! Les plus vigilants d’entre vous auront bien évidemment remarqué que ce plan ne figure malheureusement pas dans le film… Et pour cause: cette pirouette se déroule hors-champs (la caméra de James Contner placée en face de l’ estrade n’ immortalisant que la chute)… Décidément, sur www.jaws-3d.com, on ne laisse échapper aucun détail!!! Les mauvaises langues diront qu’ il faut bien noircir les pages de ce site. Qu’elles se rassurent! L’avenir s’annonce particulièrement radieux pour l’ ensemble des fans du film… Mais chut… Je suis tenu au secret professionnel et j’ai tendance à respecter mes engagements. 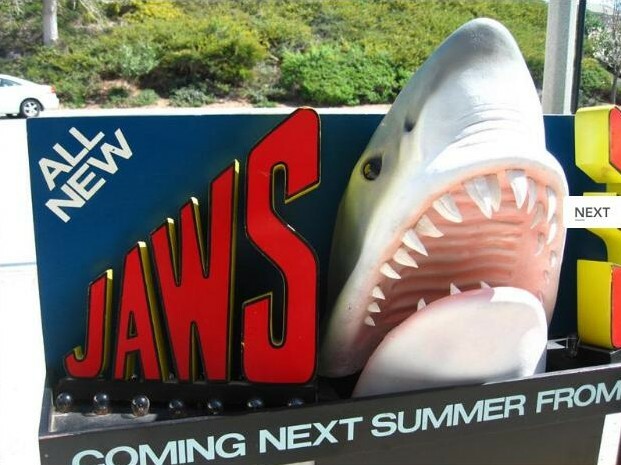 Partager la publication "Une photographie plutôt rare…"
« Romain, je sais que tu te consacres exclusivement à la sortie de ton quatrième album mais j’ aimerais vraiment que tu puisses conclure le dossier en trois parties dédié à la gloire des Billboard Jaws 3-D avant de reprendre le chemin des concerts… » Nul besoin de vous inquiéter mon jeune ami… Je n’envisage pas une seule seconde de mettre un terme à cette fantastique aventure ! Mais puisque vous insistez… Voici donc quelques photos d’ un modèle datant de 1983 fabriqué, comme vous pouvez vous en douter, dans de très faibles quantités. Bien plus petit que les précédents Billboard traités ici même, il est à la surprise générale réapparu dans des enchères menées par le magazine Fangoria (acquis pour un peu moins de 2000$). Les étagères encombrées du Jaws 3D Metz Museum ne désespèrent pas pour autant de l’ accueillir un jour prochain… Je termine en vous offrant ces quelques clichés qui laissent particulièrement songeur. 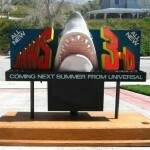 Partager la publication "Billboard Jaws 3D (3/3)"